Hayden Hollowell established personal best times in two races at the Athletics Alberta Age Group Indoor Provincials in Edmonton on the weekend. The 20 year old Wolves Athletics Club runner clocked a time of 8:53 in the 3000m, finishing second in the senior men’s race. 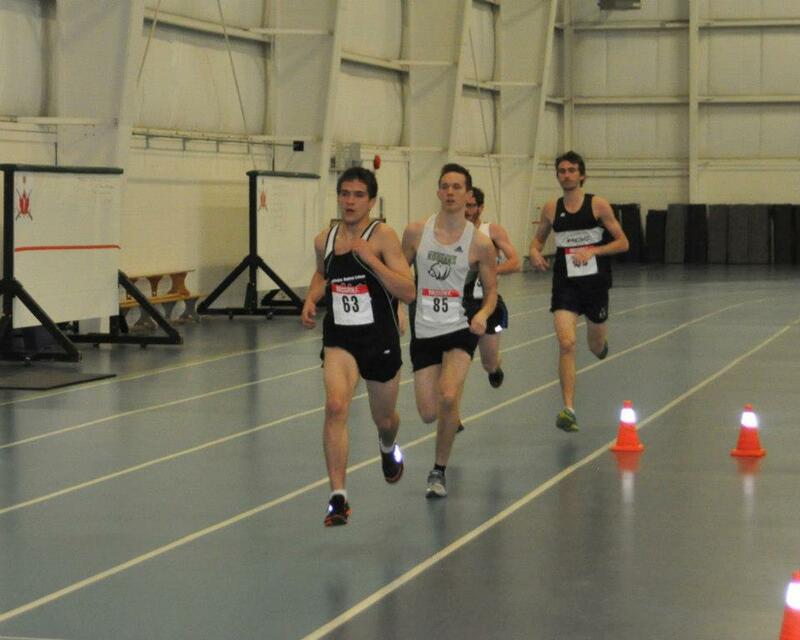 Hollowell also placed 4th in the 1500m in 4:05. Youth runner Brittany Duvall and Bantam competitor Mairen Lawson also took part. Duvall’s best effort was a 7th place finish in the 3000m (11:51) while Lawson clocked 3:03 for the 800m, good for 20th place. This entry was posted in Indoor Track and Field, Uncategorized and tagged Athletics Alberta, Grande Prairie Alberta, Hayden Hollowell, Indoor Track and Field, Wolves Athletics Club. Bookmark the permalink.